Bitcoin’s arrival into the mainstream was accompanied by massive evaluations of altcoins, a short-lived ICO craze, and many misunderstandings about the vision and potential of Bitcoin. 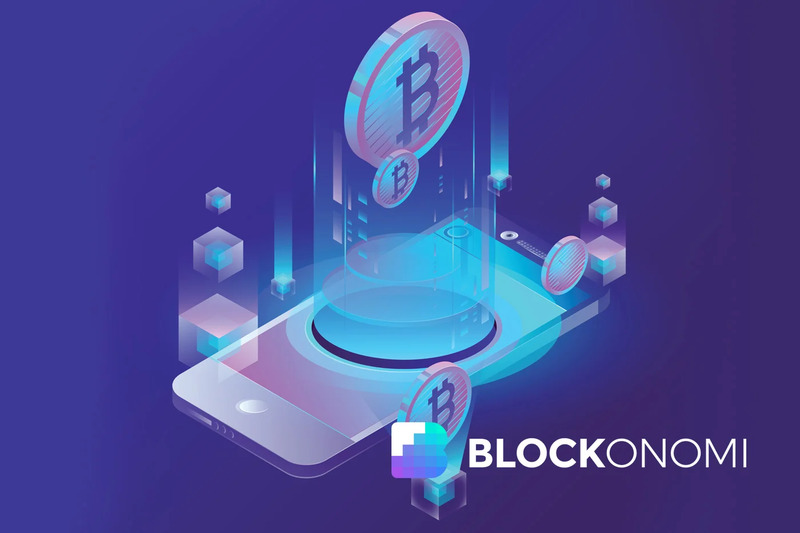 Over the last year, numerous developments have unfolded that give more access to investing in Bitcoin and interacting with the legacy cryptocurrency than ever before. While access to Bitcoin is still far from being ideal, options for investing in it are significantly greater than they were only several years ago. From the proliferation of exchanges to alternative means of acquiring it, evaluating various ways to invest in Bitcoin is worth your time and effort. Bitcoin’s price has been volatile since its inception. Starting from the first purchase of a good or service using 10,000 bitcoins to buy a pizza, Bitcoin’s value has been a rollercoaster ride. Bitcoin’s price skyrocketed towards the end of 2017 and peaked at roughly $20,000 in January 2018, causing a flurry of mainstream media coverage and questions about what precisely the novel digital currency was. To the majority of the mainstream, Bitcoin’s volatility bears too much risk to invest in it, although millennials have shown a favorable disposition towards swapping their hard earned money for some Bitcoin. Following the meteoric rise in price, Bitcoin — along with the broader crypto market — has been undergoing an extended bear market, where the price currently sits around $3,600. Investing in Bitcoin has inherent risks that investors need to be aware of before purchasing it, and you can find extensive information on the original cryptocurrency all over the web today. If you’re interested in Bitcoin, the prudent approach is to do your own research and discover whether or not you are willing to enter an emerging market of digital assets that has no precedent. Making small investments is a great way to start and learn about how to interact with wallets without overexposing yourself to the market’s volatility. If you’re looking to invest in cryptocurrencies in general, choosing Bitcoin should be your first option. Its robustness is unparalleled in the industry and is one of its greatest, if not its cardinal, strength. The general narrative around Bitcoin that has been molded over the years is that of ‘digital gold,’ where its predetermined issuance rate — controlled by its mining difficulty adjustment and decentralized network — provides significant advantages over fiat currencies in knowing that your investment will not be diluted through arbitrary inflation. If you’re a newcomer to the Bitcoin and cryptocurrency space, seeking monetary refuge from hyper-inflationary economies, or an advanced user who believes in the ideological aspects of Bitcoin, there are several areas that you need to evaluate when investing in Bitcoin. Many long-term ‘hodlers’ view Bitcoin as the hardest money available, and choose to store large amounts of their earnings in the cryptocurrency. Doing so presents risks, but from their perspective, it is one of the greatest investment opportunities in history and a legitimate means of value storage and transfer outside of the traditional financial world. Their belief in Bitcoin as digital gold with a high stock-to-flow ratio is well-founded, and advances like Bitcoin’s LN may eventually enable the network to scale as the P2P digital cash originally envisioned by Satoshi Nakamoto. If you’re looking to store Bitcoin as a long-term investment, the best method to safeguard your coins is using a cold storage hardware wallet. Popular cold storage wallet brands include Trezor and Ledger, and they also offer support for other cryptocurrencies. Cold storage can even be beefed up with multisig services like Casa where signatures from multiple physical devices are required to unlock your stored Bitcoin. Full Bitcoin clients are also viable means for long-term storage of bitcoins, but not as secure as cold wallet solutions. Besides purely investing in Bitcoin, you can support the decentralization and connectivity of the network by running a full node, which incorporates yourself into the Bitcoin core protocol that stores the entire blockchain. Short-term holders who are looking to invest in Bitcoin in small amounts out of curiosity or for experimenting with sending/receiving it can opt to use hot and custodial wallets. 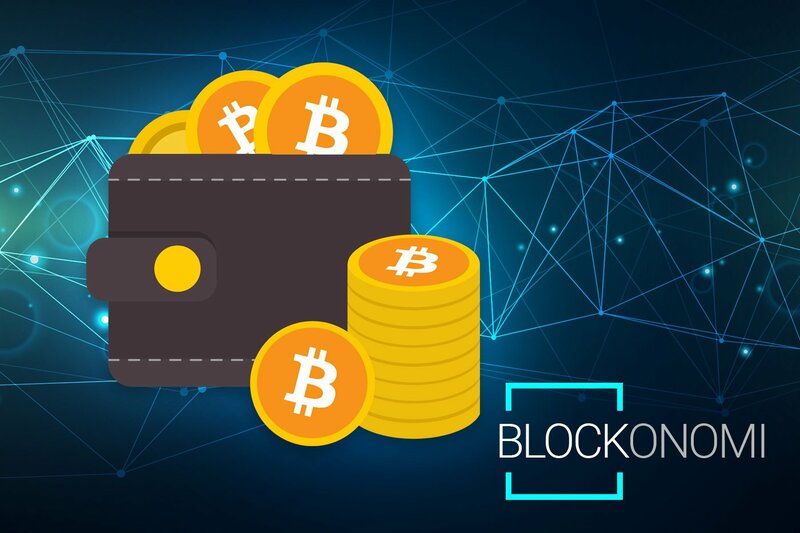 Third-parties control these wallets, so they are not ideal for security assurances, but are convenient to use and offer excellent user-interfaces for using Bitcoin. Popular custodial wallets include Blockchain Wallet, Copay and BreadWallet. In the early days of Bitcoin, users could mine Bitcoin on laptops and desktop computers, earning copious amounts of Bitcoin at drastically lower values than what they are today. As such, early mining in Bitcoin turned out to be one of the most lucrative investments ever. However, mining has evolved into a giant industry, where outsized companies like Bitmain and large mining pools like F2Pool and BTC.com dominate the market. ASIC miners are really the only feasible way to mine Bitcoin today, and hosting your own ASIC rig is a serious investment that requires hardware costs, operating time and electricity. Further, small, independent miners using home-based rigs often have to operate at losses during extended depreciations of Bitcoin’s spot price as profit margins are diminished. However, if you wish to try your hand at Bitcoin mining, there are numerous tutorials for discerning which hardware and software suit your needs and budget. Cloud mining services also enable users to purchase contracts for ASIC mining rigs within extensive mining warehouses that are operated by a third-party mining company. These companies offer regular returns based on your investment and can be convenient if you wish to earn Bitcoins through mining but do not want to go through the hassle of setting up your own rig. Hashflare and Genesis mining are two popular cloud mining services. Bitcoin’ mining market is a fascinating component of its broader ecosystem, and adequately understanding how it works, as well as watching its future development is vital to comprehending the legacy cryptocurrency’s larger economics. Exchanges are the most straightforward and popular method for acquiring Bitcoin. There are well over 100 operational Bitcoin exchanges worldwide, but steering clear of exchanges that are known for wash trading and sticking with major reputable exchanges is the most prudent move. There are several types of exchanges in the cryptocurrency market, including centralized exchanges, decentralized exchanges (DEXs), P2P marketplaces, crypto-to-crypto exchanges, and fiat-to-crypto on-ramps. Adequately understanding the advantages and disadvantages of each is crucial. First, the difference between crypto-to-crypto and fiat-to-crypto exchanges stems from their regulatory jurisdictions and whether or not they can offer direct trading pairs of Bitcoin with fiat currencies. Coinbase is the most popular fiat-to-crypto on-ramp in the U.S. and requires that users go through regulated KYC/AML processes. Further, exchanges like Coinbase are centralized and custodial platforms, meaning that when your bitcoins are stored on the platform, they are technically not yours as they can be frozen like with a bank account. Other popular fiat-to-crypto exchanges include Kraken, Gemini, BitMEX (not available to U.S. customers), and Bitstamp. Crypto-to-crypto exchanges solely offer trading in and out of different cryptocurrencies, with prices of altcoins pegged to Bitcoin or stablecoins like Tether or USDC. These exchanges have been referred to as ‘altcoin casinos’ as they are essentially gambling on price swings of many of the more obscure altcoins available. However, these exchanges sometimes offer excellent trading experiences and can be used to access other cryptocurrencies widely not available on fiat on-ramps. Binance is one the leading cryptocurrency exchanges in the world and is a centralized crypto-to-crypto platform. The differences between centralized and decentralized exchanges are essential for several reasons. First, centralized exchanges have custody over your Bitcoin, just as a bank retains custody over your fiat funds. Second, these exchanges are prone to targeting by hackers, and the sheer scale of hacks on exchanges in 2018 was astounding. It is best practice never to store your Bitcoin on an exchange, even a decentralized one. Conversely, DEXs are useful for direct exchanges between counterparties, without an intermediary. They do not take custody of funds and also do not require KYC/AML processes for users. Unfortunately, many DEXs do not have enough trading volume to be as liquid as their centralized counterparts, and recent directives by the SEC towards EtherDelta may discourage operators from continually running DEXs outside of legal jurisdictions. Moreover, most DEXs only enable trading between Ether and altcoins that are ERC-20 compatible, not offering Bitcoin functionality. The future growth of atomic swaps should help expand Bitcoin’s prevalence among DEXs, however. Other decentralized options for trading Bitcoin for fiat or altcoins include P2P marketplaces such as Bisq, Paxful, HodlHodl, and OpenBazaar. OpenBazaar and Bisq are open-source marketplaces without registration and an emphasis on privacy and security. OpenBazaar also enables users to set up e-commerce stores for listing physical and digital goods/services with payments directly between counterparties in crypto. HodlHodl even offers TESTNET trading without risking actual money. Volumes on decentralized marketplaces are substantially lower than their centralized counterparts, but they are rapidly gaining traction among privacy proponents and users seeking better security assurances. Similarly, Bitcoin volume metrics sites like CoinDance indicate that decentralized exchange platforms are growing in use in countries with problematic inflation and economic conditions, especially Venezuela. These platforms offer censorship-resistant avenues for citizens in countries like Venezuela to buy into crypto and fiat currencies that are much more stable than their local currencies. Access to investing in Bitcoin has never been more abundant, but there are still significant strides that need to be made for access to reach its ideal levels that support a global, decentralized value system. In particular, the primary avenues for acquiring Bitcoin with fiat currencies — through centralized exchanges — are tightly regulated and subject to KYC/AML processes. Decentralized exchanges simply don’t have the volumes or widespread popularity to rival centralized exchanges at the moment. Most investors in Bitcoin reside in countries where Bitcoin is more of a speculative investment or part of a professional focus rather than stemming from direct needs for an alternative medium of value. In countries like Venezuela, Zimbabwe, and Argentina, the situation for investing in Bitcoin hinges more on a legitimate need to seek alternative currencies due to adverse economic conditions. Increasing access to such areas of the world is an important initiative, and several developments may broaden access outside of solely the proliferation of decentralized marketplaces. Bitcoin ATMs are one avenue to grant easier access in localities, often available in convenience stores and supermarkets. According to CoinATMRadar, there are more than 4,200 crypto ATMs in the world, dispersed over 76 countries. Leading crypto ATM manufacturers include Genesis Coin and General Bytes. Many ATM services also offer bi-directional buying/selling of cryptocurrencies for fiat currencies. You can even buy Bitcoin at Coinstar machines in select locations in the U.S. now. However, the regulatory frameworks for these services are complicated, and unclear in the U.S. at this point due to cross-state money transmission laws. Other alternative means for investing in and using Bitcoin include emerging projects focusing on Bitcoin vouchers and credit sticks. Azte.Co — a Bitcoin voucher service — enables people to buy Bitcoin at convenience stores in cash or with debit/credit cards using the Azteco voucher. You can top up a Bitcoin account by simply using the Azteco voucher like you would for topping up a phone, and the details are available on their website. Similarly, OpenDime is a service where users can physically exchange Bitcoin credit sticks. The credit sticks are secure USB sticks that contain the private key within the device itself. Such functionality enables Bitcoin to be transferred between parties locally with assurances that the private key is not compromised as long as the stick is sealed. Users can even pass around the stick multiple times. OpenDime has some intriguing long-term implications, and its emergence in economies with weak economic conditions will be something to watch closely. Financial instruments using cryptocurrencies are also on the rise, with services like Celsius Network and BlockFi permitting users to take out loans with their crypto holdings as the underlying collateral. Moreover, lenders on Celsius Network can earn interest through their P2P lending pool that is paid by the borrowers, paid out directly in the crypto that their deposit was made in, including Bitcoin. 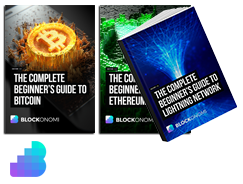 More advanced Bitcoin users who are familiar with its second layer — the Lightning Network — also have the future potential to earn BTC through relay fees and watchtowers. Watchtowers are services that monitor the Bitcoin blockchain for their clients to identify transaction breaches on the LN and issue penalty transactions. Relay fees can be acquired by LN nodes that connect to numerous peers and help route payments through the mesh network for users who are not directly connected with a channel to a party they wish to exchange BTC with. These developments are still in their very early stages, but they offer useful mechanisms for users willing to provide services to LN users to accumulate BTC in fees. Numerous avenues for merchants to accept Bitcoin as payment are also available, including Coinbase Commerce that is integrated with major e-commerce platforms like Shopify and WooCommerce. Merchants can opt to retain their BTC as an investment or exchange it directly for fiat. Open-source projects like Lightning Charge — part of Blockstream’s Elements — are also available for merchants to accept LN BTC payments using a drop-in solution. The LN’s huge design space and its rising number of applications should also further help the network to grow as a means of payment for online purchases over the coming years. Other more obscure methods for acquiring Bitcoin include Bitcoin puzzles. Bitcoin puzzles are digital art that individuals post to the Internet which contain the private keys to access bitcoins that are locked as the reward for solving the puzzle. They are not exceedingly prevalent, but some of the rewards have been highly lucrative, including a $2 million prize for a puzzle containing 310 BTC late last year. Outside of the emerging alternatives for investing in Bitcoin, the convergence of traditional finance and blockchains is also set to create more opportunities for increased exposure to the asset. Bitcoin ETF proposals have been denied by the SEC several times already, but some key decisions are coming up — specifically the VanEck-SolidX Bitcoin ETF proposal decision that was pushed to February. ETFs are investment vehicles for individual or groups of assets that enable investors to speculate on the market price without having to actually own the asset. Bitcoin ETFs would allow more mainstream investors to access Bitcoin through investing in an ETF that is on a regulated exchange without having to purchase Bitcoin directly from a crypto exchange. Read our complete guide – What is a Bitcoin ETF? Similarly, Bitcoin futures are already available, and investors can long or short the legacy cryptocurrency on regulated futures exchanges, including CBOE and the CME. Bitcoin futures and ETFs are excellent ways for mainstream investors to speculate on the price of Bitcoin while reducing their direct interaction with the cryptocurrency, which often requires technical knowledge to store and use securely. Increasing regulation of Bitcoin in developed countries is likely to continue at an accelerated pace, and open up broader access to investors hesitant to touch the cryptocurrency using alternative means or unregulated exchanges. Conversely, the hesitation of many other countries to adopt regulatory frameworks for digital assets indicates that alternative means of investing in Bitcoin need to garner more widespread adoption to circumvent any censorship of access to the asset. Proposals for Bitcoin and other digital asset trading on regulated platforms are already underway in several countries, including Thailand’s TSE which would become one of the first platforms to offer digital asset trading on a major regulated exchange. Eventually, Bitcoin should be offered side-by-side with other conventional financial instruments including CFDs, derivatives, futures, and multiple fiat currency trading pairs on comprehensive platforms. A large number of brokers now offer Binary Options and Contracts for Difference on a range of Cryptocurrencies, including Bitcoin. If you have traded using one of these types of broker before, you can also use them to trade Bitcoin. The difference between these and a typical exchange is that you do not own the underlying asset, you are merely trading based on price differences. Looking back at Bitcoin’s humble origins reveals just how far the cryptocurrency has come. Access for investing in Bitcoin has never been better, and although it comes with inherent risks and a high-barrier to entry, it is slowly cementing itself as a viable means of value transfer and storage outside of the traditional financial realm. Investing in Bitcoin always requires that you do your own research, and prudently evaluating your options for acquiring it based on your situation will allow you to make the optimal choice for joining a growing community of users, businesses, investors, and developers.